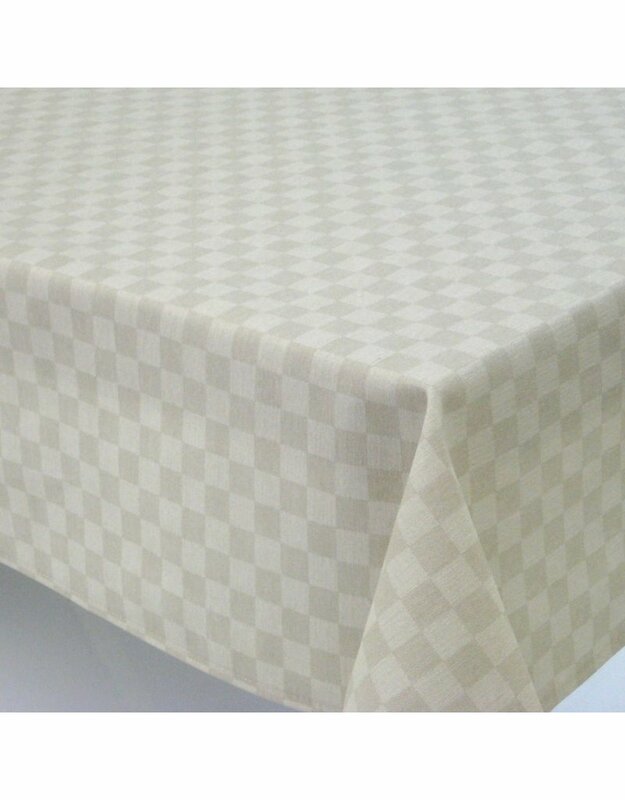 A tone on tone square pattern in a great neutral beige makes our Picasso Check tablecloth both subtle and interesting. Perfect for both your indoor and outdoor table. Our acrylic-coated cottons have a soft drape with none of the stiffness of traditional oilcloth or vinyl. They are stain resistant and easy care. No washing necessary, simply wipe clean!